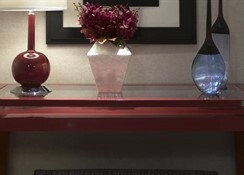 Hotel Palomar Los Angeles sets "Art in Motion" with a new and exciting level of art-infused style and sophistication in the vibrant Westwood community of Los Angeles. 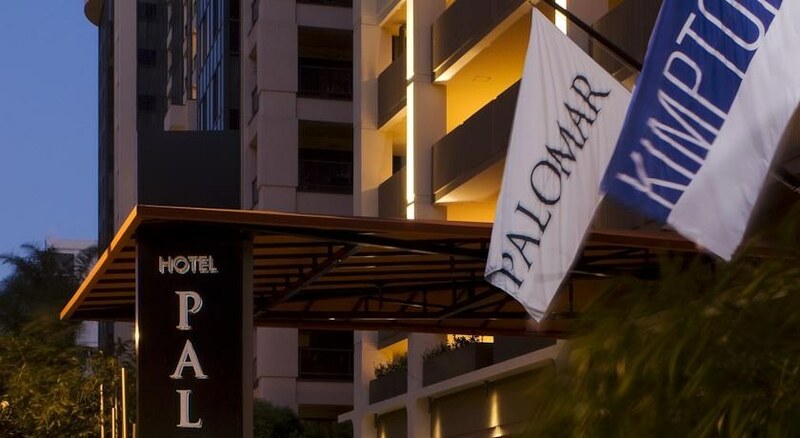 Located just two blocks from the heart of the UCLA campus, Hotel Palomar Los Angeles' 19-story building features 268 guestrooms and suites, all of them as effortlessly comfortable as they are luxuriously unique. Stunning views of the Los Angeles city skyline, beautifully designed rooms by Beverly Hills designer Cheryl Rowley, and unparalleled amenities await the guests at this Los Angeles boutique hotel. At the luxury Hotel Palomar Los Angeles, guests are only a short drive to popular destinations such as Beverly Hills and Rodeo Drive which makes it a traveler's dream come true. Shoppers will love the short walk to nearby shops, galleries and cultural centers of Westwood Village, while sun-worshippers can take an easy trip to experience the famous beach havens like Santa Monica and Venice. At Hotel Palomar, each guest's stay is like a masterpiece, celebrating the "Art In Motion" inspired by the cinematic arts that define this Los Angeles boutique hotel's surroundings. This charming city hotel fuses modern Hollywood glamour with a thoughtfully curated focus on the arts for a new experience in upscale boutique hotels. It boasts 264 rooms including 26 suites (2 presidential suites and 24 Spa suites), 103 double rooms and 135 rooms with king-size beds. The hotel, with it's 'Art in Motion' theme, pays homage to the city of Los Angeles' artistry in film, fashion, design, fine art and architecture - and seeks to incorporate a sense of beauty and inspiration into every guest's stay. 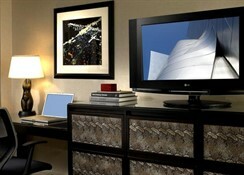 The hotel is equipped with 6 meeting rooms, state of the art technology and ballroom and boardroom facilities. From elegant decor to state of the art extras, thoughtful amenities and unparalleled service, it makes each guest's stay a masterpiece. The fully air-conditioned establishment was renovated in 2008 and features a lobby area with 24-hour reception and check-out service, hotel safe, life access and a bar, cafï¿½ and restaurant. It also provides guests with Internet access, room and laundry services, and a car park and undercover parking garage for those arriving by car. 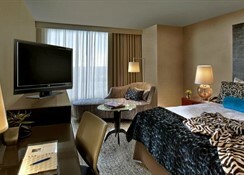 Check-in time is 4 pm and check-out is 11 am.